The following letter repeats many segments of my last correspondence regarding the “Year Collaboration” sent on January 30th but with more details as to how to implement the annual plan. We all know how collaboration is rooted in our charism as a Vincentian Family, especially in the example of the lives of our Founders. We also know that we will most effectively serve those who live in poverty only as we collaborate with them and one another in this ministry. The Year of Collaboration will begin on the Feast of Pentecost, May 24, 2015, and end on the Feast of Pentecost, May 15, 2016. During the course of this year, we ask that the local, regional, and international levels of the Vincentian Family explore ways in which they may celebrate, connect and learn, and serve with one another. Our efforts will be coordinated by the Vincentian Family Collaboration Commission (VFCC). This letter contains recommendations from the VFCC for the coming year. What follows below are resources to help the Vincentian Family commemorate the Year of Collaboration. We would like to highlight three special days to celebrate during the year: May 24, 2015 (Pentecost); September 27, 2015; and May15, 2016 (Pentecost). Here are suggestions for each of these days of celebration. Thanksgiving: May 24, 2015: Gather with members of the Vincentian Family to give thanks to God and to celebrate together. Below are three readings from St. Vincent that you may include with your prayer service or Mass of Thanksgiving. You may want to include time for testimony or a celebration of what has been done by the local Vincentian Family. A. 204.- TO JEAN DE FONTENEIL August 29, 1635; (CCD:I, 291) I am also overwhelmed by the charity you have extended and keep on extending to my poor brother.’ Because you have done all this for the love of God, and because gratitude for so many kindnesses is beyond our power, I beg Our Lord, Monsieur, to be Himself both your thanks and your reward. B. 189. – TO JEAN DE FONTENEIL December 7, 1634; (CCD:I , 268) Now, for all that, Monsieur, I thank you most humbly and beg Our Lord Himself to be your thanks and reward and to shed upon you more and more abundantly His graces and blessings. O Monsieur, how my heart is filled with consolation every time the above-mentioned M. de la Salle writes to me about your zeal for the salvation of souls, your diligence in winning them over, the blessing Our Lord is bestowing on you, and the solid virtue you possess! I assure you, Monsieur, all that gives me a joy I cannot express to you and a very special fidelity in asking God to be pleased to continue for you and to increase the same graces within you. C. 1017. – TO ETIENNE BLATIRON February 14, 1648; (CCD:III, 274-275) The graces God is showering on your labors are the result of His pure mercy and not of our wretched prayers. We are poor people, more liable to turn aside His blessings than to draw them down. I thank His Divine Goodness for the zeal and fidelity He gives your heart and those who are with you. In fact, Monsieur, I am so touched by the use you make of these virtues and of many others that, when the opportunity arises to animate the Saint-Lazare community to its own perfection, I relate to it the examples that yours gives us of this. I tell them of your long labors, despite the weaknesses of some of your men, your patience in difficulties, your charity and support for one another, the gracious welcome, courtesy, and consideration outsiders find in each of you. So you see, Monsieur, that honey from your hive flows even into this house and serves as food for its children. O Dieu! what a source of consolation for the whole Company, but also what a motive for our little family to humble itself before God and to do ever better and better, since He is pleased to extend and multiply in this way the good it is doing even in places where it is not present! Reflection: Sept. 27, 2015: These “24 Hours of Vincentian Prayer” is a time to reflect. Please include the Vincentian Family Prayer in your time of prayer. We suggest that you set time aside personally as well as with other members (branches) of the Vincentian Family to reflect on the present reality of the local Vincentian Family, being mindful of the emerging needs of those living in poverty in your region. Please post photos and/or videos of your celebrations to the Vincentian Collaboration Facebook page and send them to famvin.org to http://bit.ly/YVC2015-send-file. There will be no international gatherings, apart from the meeting of the international leaders of the Vincentian Family in Rome (January 2016). These celebrations will take place on the local and regional levels. It is very inspiring to discover more about our Vincentian Family, especially those branches that are not well known internationally. Learning more about each other will create a better environment for collaboration. Follow the Vincentian Family on the Vincentian Collaboration Facebook page and on famvin.org (as cited above). During each of the 52 weeks of the Year of Collaboration, we will highlight a branch of the Vincentian Family and thus get to learn more about each other. Once a month, we will publish stories of collaboration, highlighting how the Vincentian Family is working together. 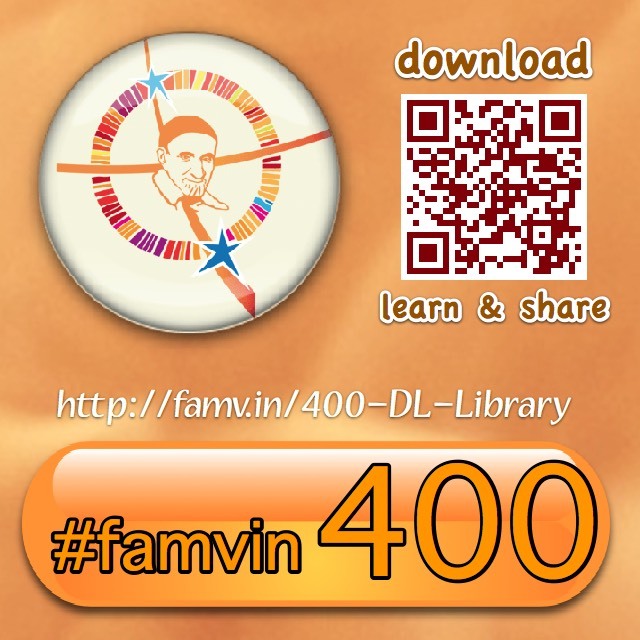 Through the same Facebook community and famvin.org, you are also invited to post your own experience of efficient collaboration in the service of the impoverished, within or beyond the Vincentian Family. There is so much happening and we could do so much more together! The previously mentioned VFCC oversaw the development of a formation experience on collaboration. The Vincentian Family Collaborative Action Program (or VFCAP) was held in Paris in 2013 and 2014 (cf. http://tinyurl.com/VFCAP). Over 70 members of the Vincentian Family participated. We are asking them to post three-minute videos about what they learned during their time in Paris and how it has helped with their own efforts to promote collaboration in their respective regions or countries. We are also inviting participants from the 2015 and 2016 regional VFCAP experiences to do the same. These videos will appear on the Vincentian Collaboration Facebook page (http://www.facebook.com/Vincentian.Collaboration) and on famvin.org over the coming months. Please visit and comment on what is there. We have a lot to learn from each other. As you can see, we have a wealth of activities planned to mark this special year for the Vincentian Family. Thank you, in advance, for all you do in collaboration with the Vincentian Family as well as with and for those living in poverty. And thank you, most especially, for the ways in which you model this virtue, which gives our charism its special nature and impact. Celebration and Collaboration of Vincentian will be a successful event. With this year theme “Together in Christ we Vincentians make a Difference.” hope lot of people will join to make difference and help others who are in need most.